Do you ever make something that turns out soooo much better than you'd hoped? Well this gift box of cards surprised me with how gorgeous it turned out. It shouldn't have since how could anything you make with the beautiful Petal Promenade paper turn out badly?! I created this 'matchbox style' gift box years ago and make a new version every now and then. This time I chose the pretty Petal Promenade designer series paper since it's on special right now during Sale-a-Bration. You can get it FREE with any $50 purchase. The 'photo realistic' prints are truly gorgeous. And the colors are so me with Petal Pink, Grapefruit Grove, Mossy Meadow and Calypso Coral. This box allows you to add your greetings to the cards as you need them. I created pretty but basic cards that can easily be jazzed up to your liking. I like to keep them simple to show off the pretty designer paper. I make two tags for each card in assorted coordinating colors and add dimensionals to the back, but leave the backings on until they're needed. This allows the recipient of this gift to pick out the greeting they need and add it themselves. This written tutorial includes two other versions using other designer papers. You can receive this tutorial free with any $50 order from now through March 31st using this hostess code. 2ZG4V4CG Or see it here in my Tutorial Shop. I plan to hold this class locally on April 27th. Get an awesome, 5 cards kit that you can earn for FREE with your online order. It includes 5 pre-cut fun fold cards with everything cut or punched for you along with ribbons too. The projects are ready for you to create using your own greeting images, ink pads and adhesive, but everything else will be included! ***Get more for your dollars right now. Get the Mix and Match box tutorial free AND this cards kit AND a free SAB choice with a $65 order! Be sure to check out all the new Sale-a-bration items you can get for free! For EACH $50 you spend you get a FREE Sale-a-bration choice! Now is the time to stock up on that wish list! Valentines Tote Bag & cards; version 2! As promised here's another version of my cute Tote Box for 3 X 3" cards. The designer paper is the lovely All My Love paper from the 2019 Occasions catalog. 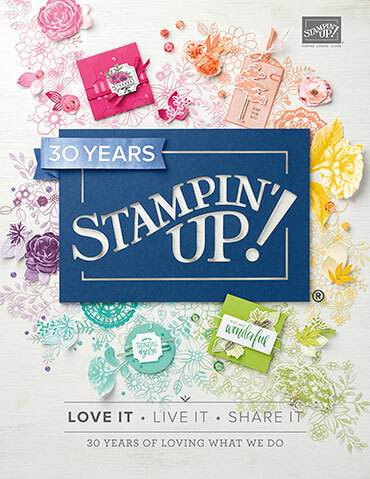 The greeting is from the Hello Cupcake stamp set from our 2019 Sale-a-Bration catalog; free with any $50 purchase. My sweet and simple Valentine cards are 3" in size and have a 2 3/4" X 2 1/2" piece of Lovely Lipstick card stock added first. Then a Starburst punch in Black and a 2 1/4" White circle next. I stamped each image in Black Memento ink and colored them in with our Blends markers. Quick and easy! 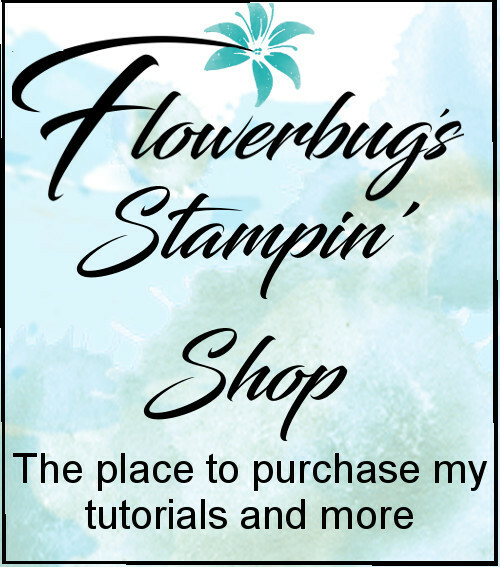 You can see all of the products I used below; just click on them to get to my Online Store. It's Valentine's Week! A super easy tote with cards! I love this project! It's a super easy tote for 3 X 3" cards and envelopes. It would also be perfect for treats too! It's a half sheet of A2 card stock 5 1/2" X 8 1/2". Score it on the short side at 1" and 4 1/2". Score on the long side at 3 1/2" and 5 1/2". Cut up 1" to the first long score lines and form your box. The handles are 1/2" X 8" and the How Sweet it Is designer paper is 1" X 11". My card stock is Lovely Lipstick and the bright and colorful designer paper is the 'How Sweet it Is' from the Occasions catalog. This sheet is one of my favorites. The cards are 3 X 3"; created from 12" White card stock. You can get 8 3" cards from one sheet of 12 X 12" card stock! And they fit our 3" envelopes perfectly! I used the Hello Cupcake and Forever Lovely stamp sets in Coastal Cabana and Lovely Lipstick. I'll share another version of this fun project tomorrow! I shared this cute and super simple treat box in my Facebook Live last week. If you're on Facebook please join me at 11 am CT every Tuesday here on my FB page. The greeting is from the Butterfly Gala stamp set. That little Silver Glimmer butterfly is a die-cut from the Butterfly Beauty thinlits on page 13. Cut your card stock at 5 1/2" X 8 1/2", score at 1 1/2" from each end on the short end. Score on the long end at 1 3/4", 3 1/2", 5" and 6 3/4". 1. Order $50 or more using this Hostess code: DWS4HMVN and get the Heart Epoxy Droplets FREE along with a free Sale-a-Bration choice. Plus get my free Birthday cards class tutorial sent in an email! Look at these adorable little treat bags Karen made for her Club gals last night! They were filled with yummy Christmas wrapped chocolates. She used the All is Bright designer series paper from the Holiday catalog. The Stitched Shapes framelits were also used for the handle. The Gingerbread men are from the Cookie Cutter Christmas stamp set and Cookie Cutter Builder punch; both from the Annual catalog. So very cute! Here's a link to the template, video and directions on my blog. Get brand new Sneak Peak items from our upcoming Occasions catalog now when you purchase the Starter Kit! Choose $125 in products and pay just $99 plus tax. Shipping is free! Contact me to join my Flowerbug's Team or click here. Going on now with retiring and discounted items! Here is the hostess code for December. Order over $50 and receive a few pre-cut card kits AND a package of the Artisan Pearls plus a free tutorial or more! Click here to see the tutorial options.